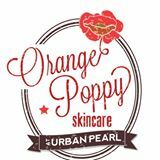 Orange Poppy Skincare - Get Involved. Make Friends. Enjoy Motherhood. You are beautiful. We understand that stress, overwhelm, comparing yourself to others and the hectic pace of life wears you down. At Orange Poppy Skincare, we honor the importance of self-care. We use the purest ingredients, cutting edge technology and common sense to offer highly customized facials, waxing and lash extension services. Let us help you remember what it feels like to be the most radiant version of you! MOD Moms Discount: Free Brow Wax to all new clients who are Mod Moms members!